It is Light (3) Yarn. It is soft and light. But any Light (3) will work for this pattern. The Cowl measures about 18 X 11 inches. up and worn as a hood. Yarn - Light Weight(3) 3 oz. 1 Double Trouble Stitch made. Ch1 does not count as a st.
Ch 5 at beginning of Row counts as your 1st DTR st.
R: 7 - R : 18 - Repeat R: 3 and R: 4 alternating Rows. Those who are having Chemo treatments and lose their hair, often become cold in the air conditioning. 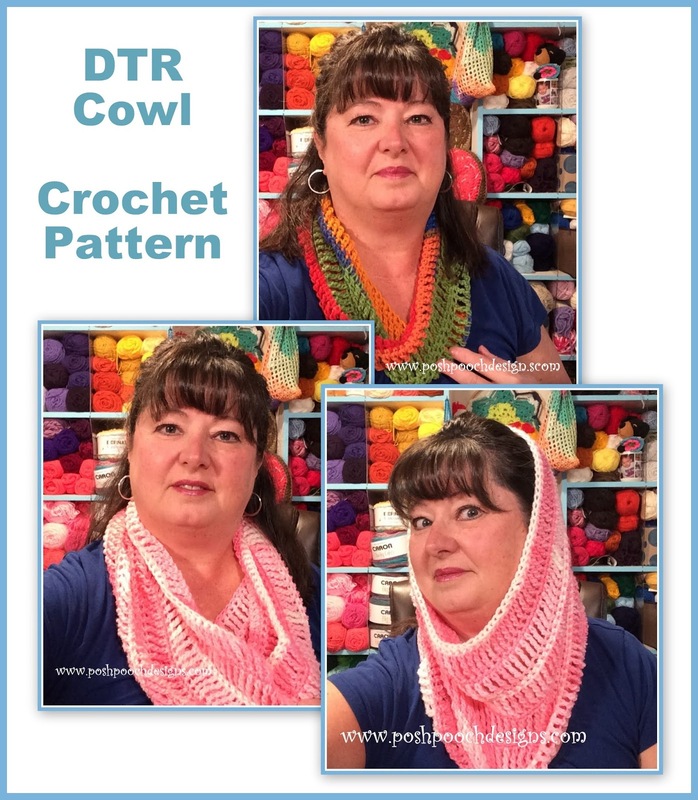 This cowl, worn as a hood, will keep them comfortable and stylish.